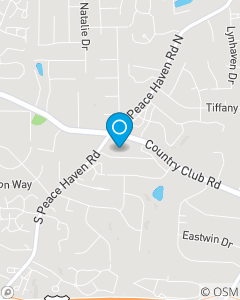 Harris Teeter Shopping Center on Peace Haven and Country Club between Papa Johns and Score More. Customers choose to work with us because of our passion, dedication, and commitment to serve as a resource for their insurance needs. We show a genuine interest in helping preserve and protect lifestyle, assets, and loved ones. Our process continues to align and adapt to changes in life. The real benefit is the confidence and clarity felt knowing your world is covered.